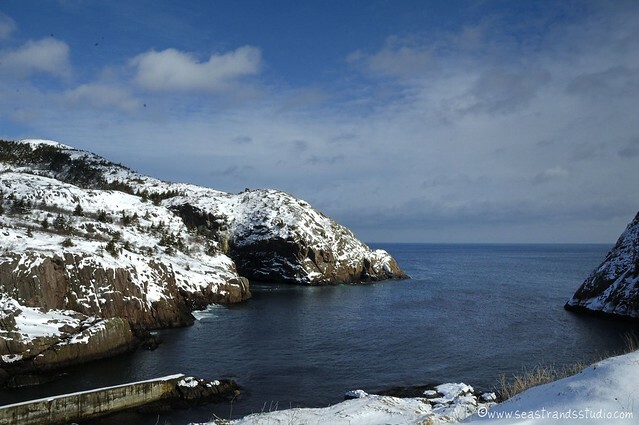 Tucked along the side of Cuckold’s Cove, standing guard over the neck of Quidi Vidi Harbour (also known locally as the Quidi Vidi Gut) is the Quidi Vidi Battery. 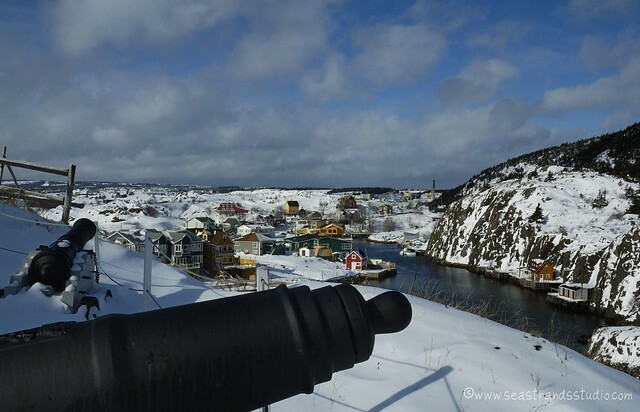 Quidi Vidi is pronounced Kiddy-Viddy or Kitty-Vitty and there are numerous stories as to the origin of the name. Once colourful tale tells of a woman named Kitty, who ran a brothel in the area in days gone by. Another (more credible) story references the harbour and lake flowing into that harbour as dividing the hillside; the waters “qui divident,” in French. 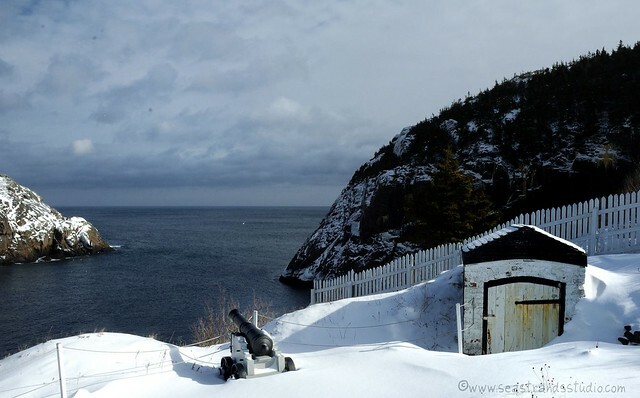 As the French were the first to fortify this little area in 1762, during their attacks on the British-occupied St. John’s, a French origin seems likely. A final interpretation is that it is a corruption of the Latin for “that which I saw.” Whatever the case, it’s a neat little spot and is as scenic in winter as in summer. After the French were summarily defeated by the British in the Seven Years War, the site was occupied by British troops. 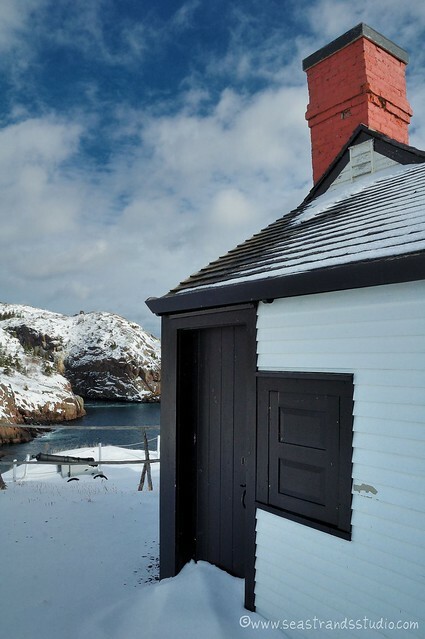 From 1780 until 1870, it was a British outpost. The current buildings are not the originals, but reproductions, constructed in 1967 as replicas of what would have been on the site in 1812. During the summer there are costumed guides on-site to teach folks a little about the area (usually – last summer they were closed). This military post was considered a hardship post, the historical equivalent of being sent to Siberia. This is where they sent you if you slept with the captains daughter or seriously annoyed some higher-up in some way. It was outside of town, lonely, remote, cold and draughty. I liked how the site looked in winter. In fact, I think it’s a more dramatic place at this time of year, with the hatches all battened down and the cannon stoppered up. It’s somehow more vividly desolate in February (but then, what isn’t?). I do wonder if the canon would usually be pointed at the village when in use, though….